It is not unusual for most adults and corporate bodies in Nigeria to have had a business dealing with an Estate Agent for the sale, purchase or lease of a property. In Nigeria, the fees/commission for most Estate Agents is usually 10% of the total proceeds of sale or purchase price or rental value of the property. As a result of the remuneration accruable to Estate Agents in Nigeria, it is not surprising that Estate Agency in Nigeria is populated by all manner of characters. In point of fact, Estate Agency in Nigeria is not regulated and anybody (including Legal Practitioners and make-up artistes) can hold himself out to members of the public as an Estate Agent. Although the Nigerian Institution of Estate Surveyors and Valuers (NIESV) and the Association of Estate Agents of Nigeria (AEAN) are making efforts to regulate Estate Agency in Nigeria through the protection of property purchasers and vendors by preventing quacks from holding out themselves as Estate Agents, the efforts of these organizations have not achieved any significant effect. Given that almost everyone has to engage the services of an Estate Agent at some point, I intend to give a bird’s eye view of how members of the public can avoid disputes arising from the services of an Estate Agent especially with regards to the payment of estate agency fees. In discussing this important issue, I shall review the recent decision of the Court of Appeal in the case of S.D.V. Nigeria Limited v. P.K.O. Ojo & Anor (2016) LPELR-40323 (“SDV’s case”). P.K.O. Ojo was the 1st Respondent in this appeal and Claimant at the High Court of Lagos State (“lower Court”). SDV Nigeria Limited was the Appellant and 1st Defendant at the lower Court, whilst SCOA Nigeria Limited was the 2nd Respondent in the appeal and 2nd Defendant at the lower Court. P.K.O. Ojo, a registered Estate Agent, claimed that he introduced a property, which was up for sale to one Adebola Adejobi who subsequently brought the property to the attention of the Managing Director of SDV Nigeria Limited. According to P.K.O. Ojo, Adebola Adejobi was an employee of SDV Nigeria Limited, but in the course of the trial of the suit, SDV Nigeria Limited established that Adebola Adejobi was the Managing Director of its sister company (a separate legal entity) and not its employee. SDV Nigeria Limited subsequently bought the property from SCOA Nigeria Limited and P.K.O. Ojo requested for his Agency Fees in the sum of $1,250,000.00 (One million, two hundred and fifty thousand US Dollars) from SDV Nigeria Limited, but SDV Nigeria Limited rejected the request on the ground that it did not appoint P.K.O. Ojo as its Estate Agent and P.K.O. Ojo was not responsible for its purchase of the property. P.K.O. Ojo subsequently commenced an action for his agency fees against SDV Nigeria Limited and SCOA Nigeria Limited at the High Court of Lagos State and Honourable Justice Gbajabiamila delivered judgment in his favour by awarding him the sum of $1,250,000.00 (One million, two hundred and fifty thousand US Dollars) as his agency fees in respect of the purchase transaction. SDV Nigeria Limited (“SDV”) was dissatisfied with the decision of the High Court of Lagos State and it filed this appeal against the said decision. The fulcrum of SDV’s argument at the Court of Appeal was that it was not obliged to pay P.K.O. Ojo any sum as agency fees since it did not appoint P.K.O. Ojo as its agent and it did not become aware of the property by virtue of P.K.O. Ojo’s introduction. SDV also contended that Adebola Adejobi was not its employee and he had no mandate to engage the services of P.K.O Ojo as its Estate Agent. SDV further argued that P.K.O. Ojo was unable to present any documentary or credible oral evidence showing that he was duly appointed as an agent of SDV. 2. The issue of estate agency fees is an important element of agency relationship and P.K.O. Ojo was unable to establish that he agreed on a particular agency fees with SDV. 3. K.O. Ojo was unable to show that his introduction of the property to SDV was the efficient cause that brought about the purchase of the property by SDV. The first and major lesson from the Court of Appeal’s decision in SDV’s case is that a Principal must have agreed on the agency fees payable to the Estate Agent prior to the appointment of the Estate Agent and this must be documented. This is because a Principal can shirk his obligation to pay agency fees where there was no agreement as to the agency fees payable prior to the closing of the transaction. Second, where an Estate Agent is dealing with a Principal who is a corporate body, it is important that the Estate Agent obtains a letter of instruction from the company, as against dealing informally with an employee/representative of the company. This is because agency cannot be created through a third party in between agent and principal. It should be noted that the Court of Appeal in SDV’s case did not make any reference to its decision in Nigeria Dynamic Ltd v. Ibrahim (Supra), but the decision in this case supports the decision in SDV’s case. Third, for an Estate Agent to be entitled to his fees, he must be able to establish that his introduction of the property to his principal was the efficient cause that brought about the purchase or letting of the property by the principal. 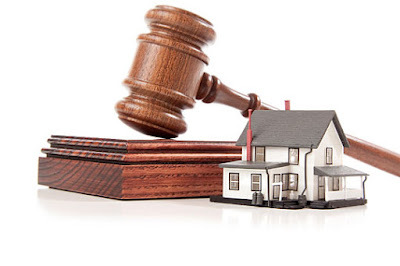 Therefore, where the principal is able to establish that he purchased the property as a result of an external factor, the Estate Agent will not be entitled to receive agency fees in respect of the transaction. Lastly, although the law permits parties to establish an agency relationship in five different ways, it is important for parties to always ensure that their appointment of an Estate Agent is documented and duly acknowledged by both the Principal and Estate Agent before the commencement of the provision of estate agency services. It is expected that the decision in SDV’s case would help to ensure that parties who intend to enter into an Estate Agency relationship are explicit with regards to the terms governing their relationship.